We wanted a dynamic database schema. We are a Behavior Platform. We record arbitrary behaviors for our clients and do interesting things with them. For example, “Joe commented on a article” could easily be “Joe checked-in at a bar in San Francisco called 21st amendment on 3rd Street in the SOMA district”. By offering almost infinite flexibility, we can support a variety of use cases from e-commerce to education. This was our most important requirement. As a bonus, Mongo offers asynchronous indexing and thus we don’t need to do database migrations and all deploys now require zero down-time. We wanted something that scaled easily. Given that we’re a platform and our data grows with the number of clients we have and over time, we aren’t your ordinary build-it-and-hope-they-will-come website. Our configuration started with Master-Slave, then Replica Sets, and now Sharding. In some of our applications and in certain environments, we still use non-sharded setups. Mongo makes it easier to setup these configurations but there’s still significant time involved to develop and harden your infrastructure. Once it’s setup though, it’s really nice to watch as data gets sharded automatically and rebalanced in realtime. It’s also nice to know that you have multiple redundant servers with automatic failover. We wanted Map/Reduce. On top of flexibility in storing the data, we wanted flexibility in processing it. Mongo gave us the ability to develop certain features very quickly because our primary database supported this rich framework. We even wrote some early analytics implementations using the native Map/Reduce in Mongo. At a certain scale, doing Map/Reduce on your primary database will dramatically hinder normal performance, but Mongo gave us plenty of time to port our mappers and reducers easily to Hadoop. There are many reasons to stick with a relational database. If you need transactions or you prefer the comfort of many more years of “bake-in” time, NoSQL will not sit well with you. With Mongo, there will be a smaller community of developers and less tools definitely fewer stack-overflow questions. 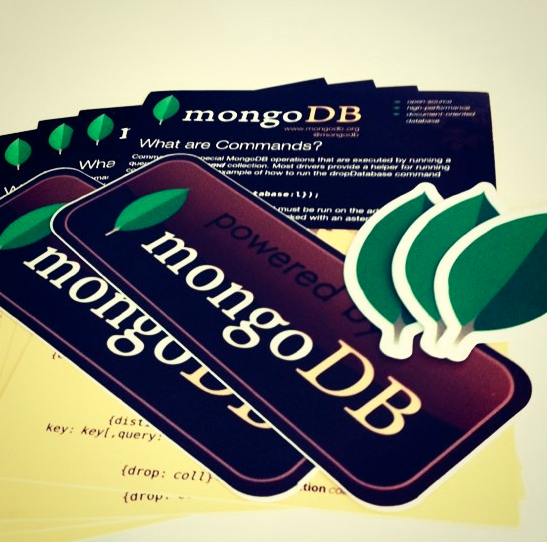 However, if you’re trying to build an exceptional application or platform with ambitious requirements, Mongo might be the one for you. bookmarked! !, I like ypur web site! Previous Previous post: My first educational tool for teachers is in Beta! Next Next post: Engineyard or Heroku?